For over one hundred years Fenner’s, the University Cricket Ground, has hosted first class cricket. Throughout this time many of the world's great players have graced the wicket with their skills, to the delight of spectators and players alike. Since the Second World War, no fewer than ten Cambridge men have captained their countries: Norman Yardley, George Mann, Freddie Brown, Peter May, Ted Dexter, Tony Lewis, Mike Brearley and Mike Atherton (England), Deryck Murray (West Indies) and Majid Khan (Pakistan). The most recent Test cricketers have included: Richard Hutton, Ian Greig, Steve James, Tim Curtis, Phil Edmonds, Mike Selvey, Paul Parker, Derek Pringle, John Crawley, Ed Smith and Zafar Ansari (England), Greg Loveridge(New Zealand) and Andy Whittall (Zimbabwe). Today Fenner’s continues that tradition, albeit in a new era and a more professional game. Fenner’s is home to the MCC Cambridge Centre of Cricketing Excellence, a partnership between the University of Cambridge, Anglia Ruskin University and the MCC. 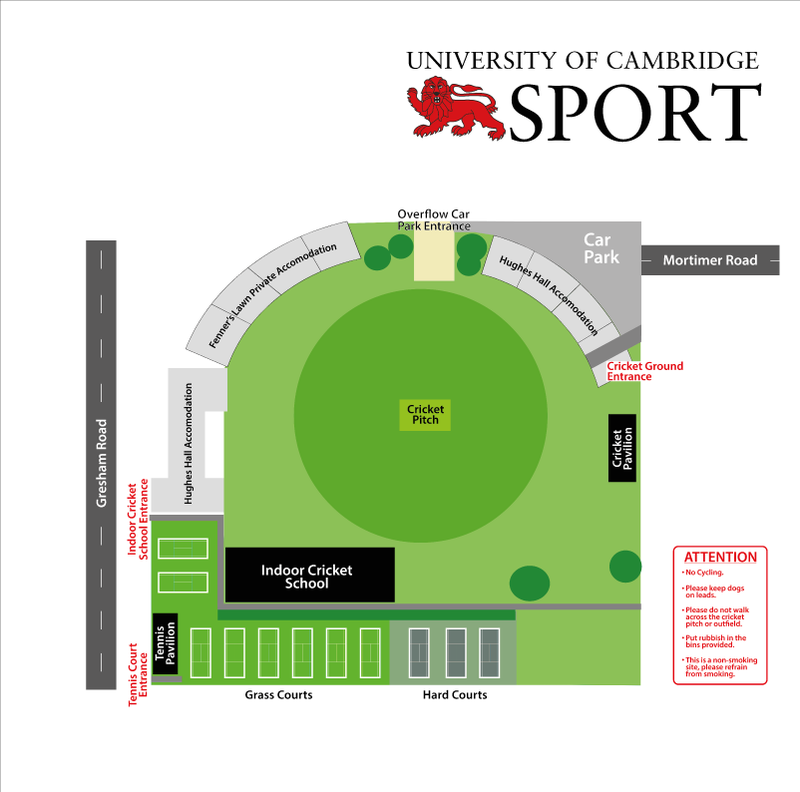 The ground still remains the home of Cambridge University Cricket Club, but now also embraces a number of other clubs and representative teams as it increasingly becomes the focus of cricket development, not only within universities, but in the community. The Cambridgeshire County Club and the Cambridge and Cambridgeshire Schools play matches and Championship finals at Fenner’s; the Cambridgeshire Cricket Board hold courses at Fenner’s and it is the home of Cambridge University Women’s Cricket Club. All prices are base and do not include VAT. Other prices on application. Once play has commenced, irrespective of cancellations due to weather conditions, a full hiring fee will be charged.